Manila (VNA) – The foreign ministers from the Association of Southeast Asian Nations (ASEAN) and China officially approved the draft framework of the Code of Conduct in the East Sea (COC) on August 6 in Manila, the Philippines. The move will be the first step of the pragmatic negotiation process for the effective and legally-binding COC, contributing to maintaining peace and stability in the region. Vietnam’s SOM ASEAN head Deputy Foreign Minister Nguyen Quoc Dung said this is a positive beginning for the practical and efficient COC negotiation process later. The document will be submitted to the ASEAN Summit in November. 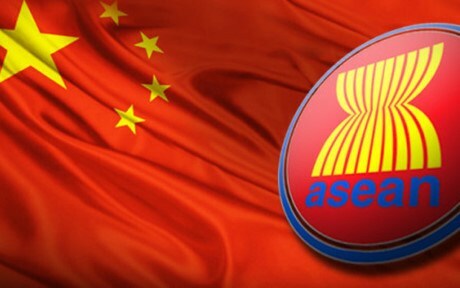 On August 5, Vietnam’s Foreign Minister Pham Binh Minh suggested that ASEAN boost exchanges with China to soon start practical negotiations for the effective and legally-binding COC. He affirmed Vietnam’s consistent stance on the importance of peace, stability, overflight and maritime security and safety in the East Sea to peace and stability in the region.